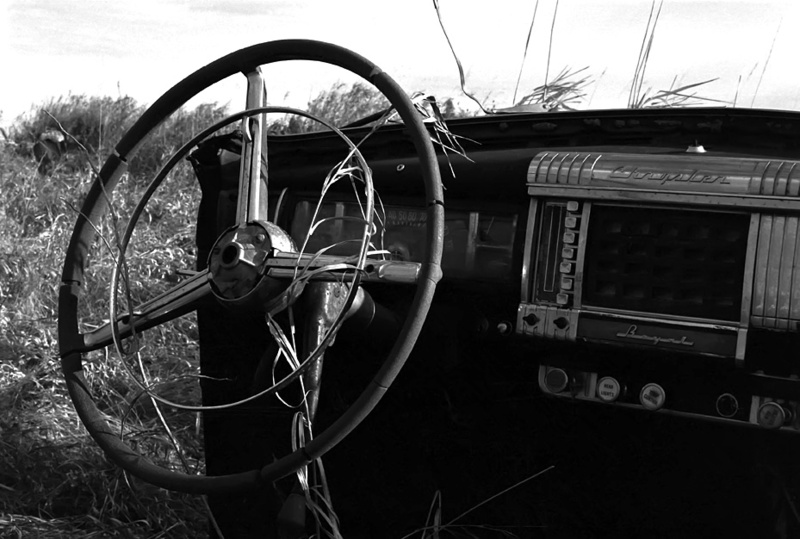 The remains of this old Chrysler, discovered in southeastern North Dakota, made for a great photograph with its interaction of machine and nature. The combination of texture and shadows, rough environment and shiny detail, makes this one of my favorite photographic discoveries. Similar in subject to “At a Dash,” this angle placed me “Behind the Wheel” so as to capture more of the detail of this old classic.